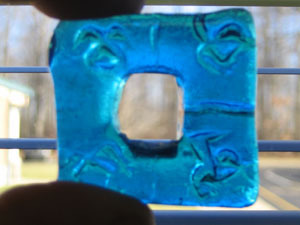 Sixth Grade students at South Ripley Elementary are casting glass. 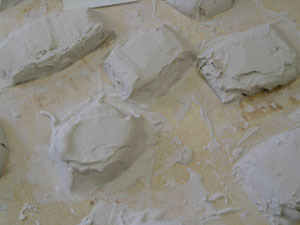 They make a clay model, invest it in a mold made of silica/plaster mix, and clean the mold. 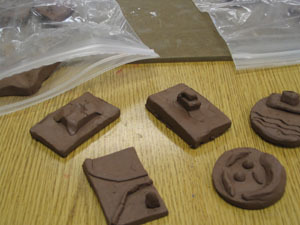 I take the molds to my studio and cast using Spectrum System 96 scraps. 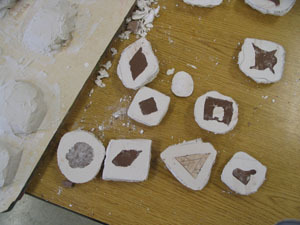 The students then demold and clean the pieces. 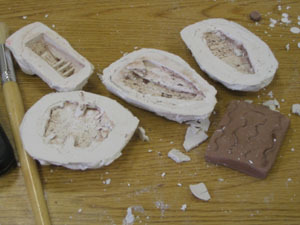 Molds are flipped over and the clay removed. 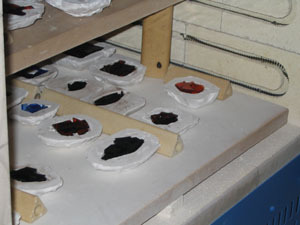 Molds are then cleaned to remove any clay residue. 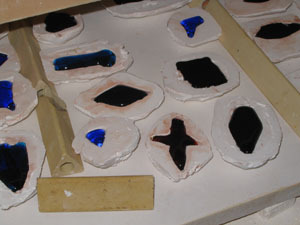 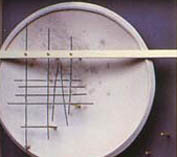 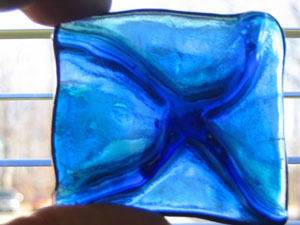 Molds and glass before and after firing (above) and two finished pieces (below).